Who else remembers eating orange creamsicles and push-up pops when they were kids? 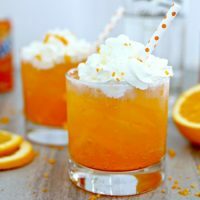 This fun Orange Creamsicle Cocktail tastes exactly like a creamsicle, and it’s only made with two ingredients. You are going to want to make one of these STAT! Step 1 – Fill a glass with ice. Step 3 – Fill glass with orange soda and stir. 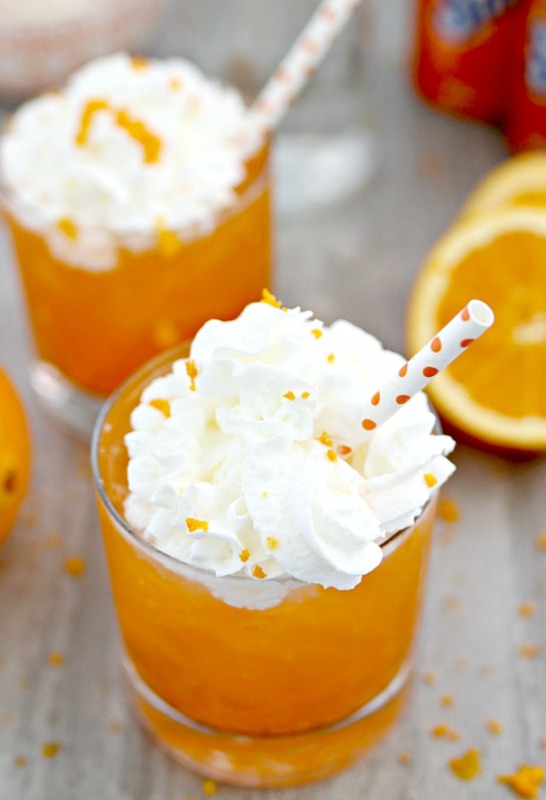 Step 4 – Top with whipped cream and orange zest, then pop in a fun straw. Enjoy! Fill a glass with ice. Add 1 /12 ounces of vanilla vodka. Fill rest of glass with orange soda. 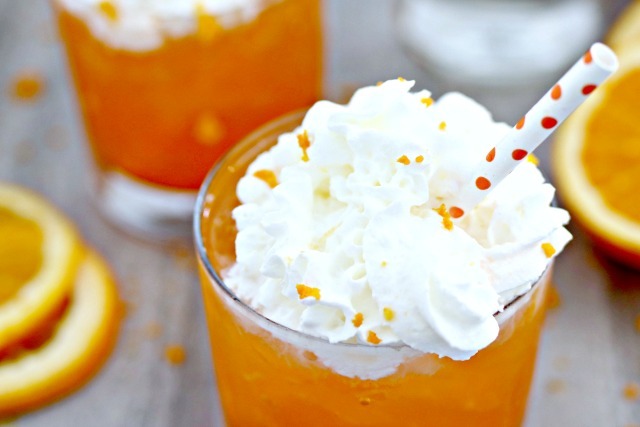 Garnish with whipped cream and orange zest. 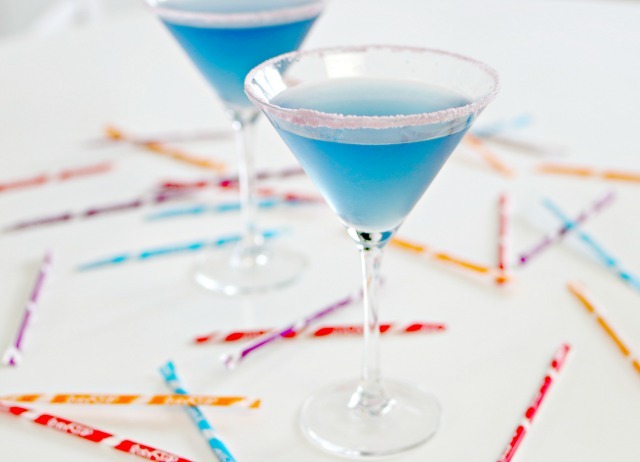 The Pixy Stix Martini is another fun cocktail that will really take you back. 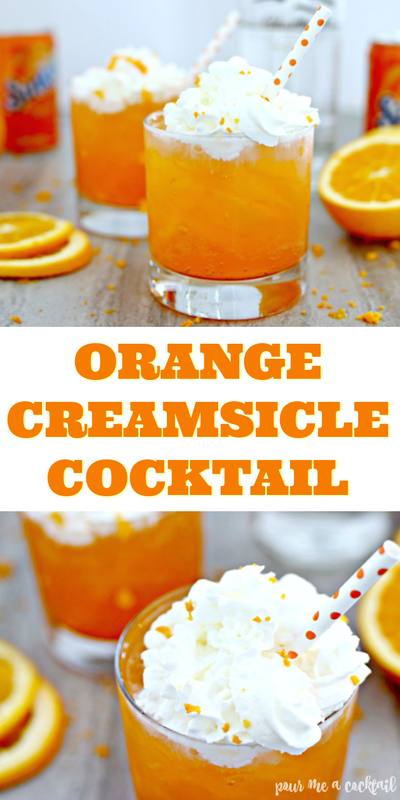 It’s rimmed with Pixy Stix and is tart and sweet…it’s one of my favorites! This drink is so fresh and full of flavor! 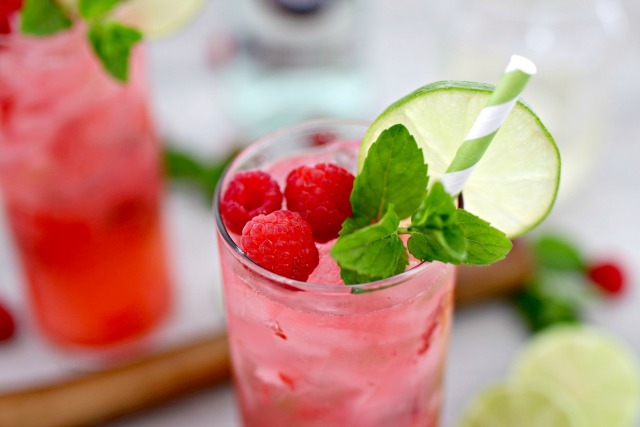 The Raspberry Mojito is made with the freshest ingredients and is my go to summer patio cocktail! 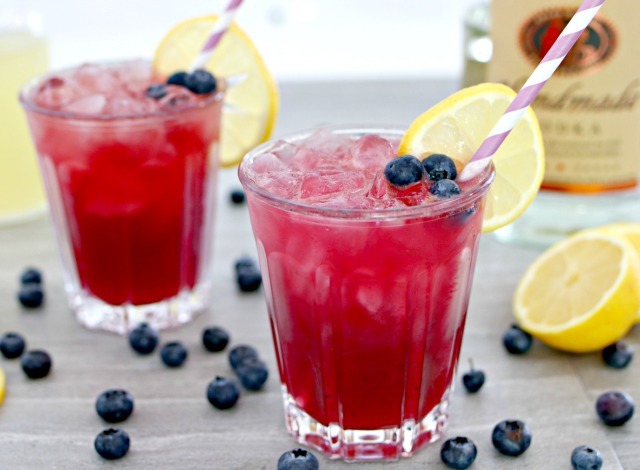 This Boozy Blueberry Lemonade is made with fresh blueberry puree, and will not disappoint where flavor is involved. It’s so delish!